Promotes radiant skin, lustrous hair and strong nails. 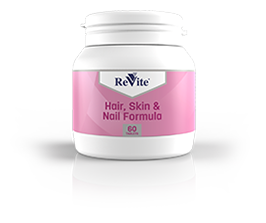 Contains folic acid, which promotes and renews the cells that aid the growth of hair. Contains B-vitamins and minerals to support a healthy skin. Contains Biotin for new hair growth. *Nutrient reference value for individuals 4 years and older.